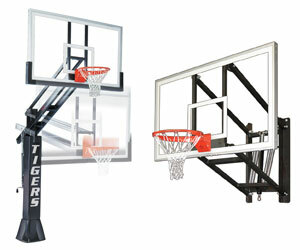 Basketball Equipment and Accessories | First Team Inc.
First Team Inc. is proud to manufacture premium basketball goals, systems and accessories in our plant in Hutchinson, Kansas. We started making indoor and outdoor basketball equipment in 1996 and soon developed a reputation as one of the premier manufacturers of basketball equipment in the country and we're proud to use top-quality materials made with pride right here in the U.S.
Our basketball equipment is suitable for players of all skill levels - from competitive play all the way up to the professional ranks. 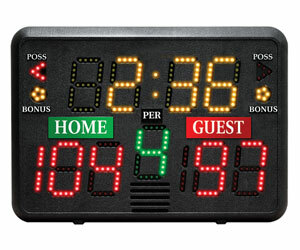 And we have the perfect basketball system and accessories for you whether you're playing at home or under the gymnasium lights. Inside the gym, the reputation of our equipment speaks for itself. Our hoops are engineered for durability, low maintenance and uncompromising performance. Available with padding options that will ensure the safety of all your players. 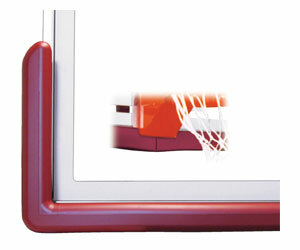 We make a variety of basketball goals, including fixed, portable and wall-mounted options. 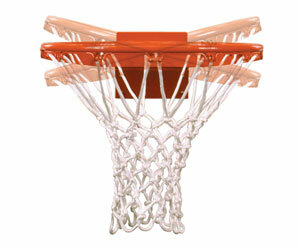 We have basketball nets available in your choice of nylon, steel or chain. 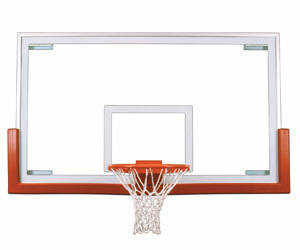 First Team makes basketball backboards in many materials, including tempered glass, acrylic, fiberglass and steel. With safety as well as quality in mind, we offer padding for backboards as well as for walls and columns to help keep players safe in even the hardest-fought contests. 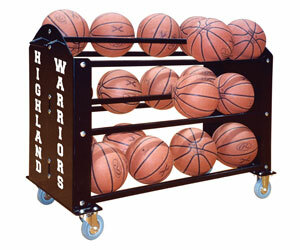 First Team also produces a host of basketball accessories. These include stencil kits to help you create a regulation-size basketball court as well as other items such as ball retention nets, ground anchor kits, dry-erase clipboards and basketball scorebooks. We even have arcade basketball games for those who can't get enough hoops and want to bring this great game into their home, office or business. 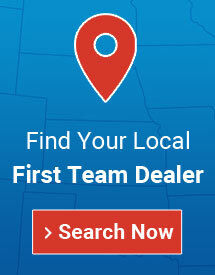 When you're looking for quality, made-in-America basketball equipment, you'll find it at First Team Inc.